Is Your Crystal In Need Of Some Tender Loving Care? Lead crystal bowls, glasses, ornaments, and other items add a wonderful sparkle to any decor. But what do you do when one is chipped? Some pieces can be especially expensive to replace, running in the hundreds, if not thousands, of dollars. 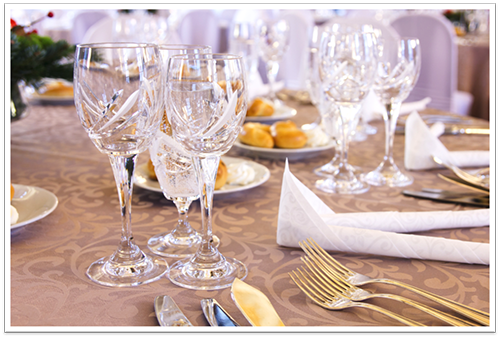 An unsightly chip makes that 12 piece set of wine glasses unlikely to be used during the special occasions it was meant for. Some recommend different abrasives to try to reduce the sharpness of the chip. While it is possible to do some repairs yourself, this can cause tiny scratches on the surfaces that may make the piece look hazy or white in that area, which just draws attention to the chip. Bring it to Alamo! One of our specialties is crystal repair. We take the time to remove glass chips and polish edges to a finish that looks like it’s brand new. We do not “fill” the chip (another suggestion I’ve seen) with epoxy, but actually remove it by grinding the edge the chip is on until the chip is gone, then finish it with a high polish. On two wine glasses from the same set, most people do not notice a difference unless they are within an inch of each other. 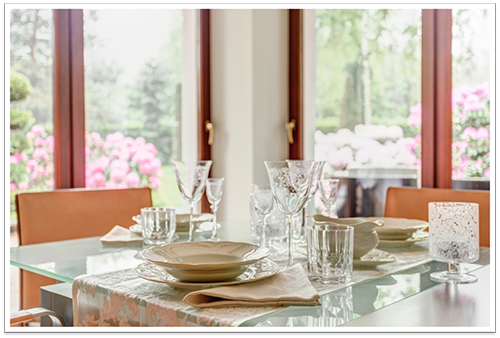 We work on crystal of all sorts, from ashtrays to candy dishes, wine glasses to vases. If one of your favorite crystal items has been chipped, come see us at our location on Olympic Drive. Let us put a smile on your face!